15 Piece Multi Tool with 2 Tyre Levers, Grater, Glue & Sticker. At Brandedcorporategifts, our purpose is to provide best value promotional gifts to our clients. We'll be glad to customise your products using your company name or logo as per your requirements to better promote your brand. 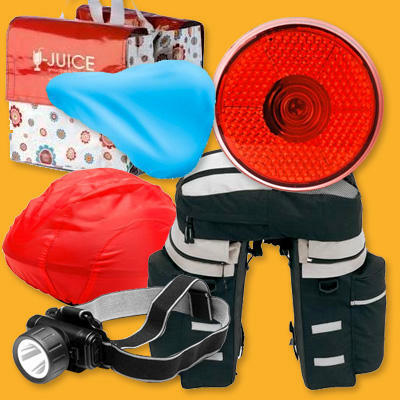 Under the category of Transport Bicycle Bike products, one can find a large variety of gift products such as bicycle lamp, bicycle luggage set, bicycle frame bag, bicycle bag, bicycle multi tool, bicycle pannier bag, led shoe light, bike lights, bicycle lock, bicycle helmet cover, etc. Using these products you can observe a significant increase in your brand awareness or marketing message across your targeted customers.